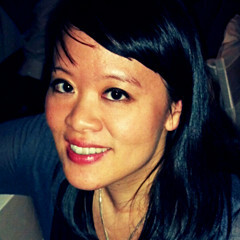 Mynette Louie is the president of Gamechanger Films, which finances narrative features directed by women. Gamechanger’s films include Martha Stephens & Aaron Katz’s comedy Land Ho! (Sundance 2014, Sony Pictures Classics, Winner of the 2015 John Cassavetes Award at the Film Independent Spirit Awards), Jamie Babbit’s comedy Addicted to Fresno (SXSW 2015, Gravitas), Karyn Kusama’s thriller The Invitation (SXSW 2015, Drafthouse/Netflix), So Yong Kim’s drama Lovesong (Sundance 2016), and Sarah Adina Smith’s forthcoming mystery Buster’s Mal Heart. Prior to Gamechanger, Louie won the Piaget Producers Award at the 2013 Film Independent Spirit Awards. Her producing credits include Tze Chun’s Cold Comes the Night (Sony/Goldwyn 2014), Marshall Lewy’s California Solo (Sundance 2012), Patricia Benoit’s Stones in the Sun (Tribeca 2012), Olivia Silver’s Arcadia (Berlin 2012), Tze Chun’s Children of Invention (Sundance 2009), and Andrew Bujalski’s Mutual Appreciation (SXSW 2005). Knowing no one in the film industry, Louie began her film career by producing three NYU Tisch graduate thesis films–all written and directed by women–though she did not attend the school. She also worked at the Hawaii Film Office, where she authored the state’s production tax credit, oversaw a $7.3 million renovation of a state-owned film studio and developed programs to foster local independent filmmaking. Previously, she worked in business development and marketing at SportsIllustrated.com, Jupiter Research, and Time Magazine. A native New Yorker, Louie graduated Phi Beta Kappa from Harvard University, where she studied Chinese literature and film.